Though there were four players on stage, Waxahatchee is essentially Alabama singer-songwriter Katie Crutchfield. Though her newer material, including the recently released Ivy Tripp LP, and live setup feature a full band, Katie is at the heart of it all, waxing poetic and nostalgic with introspective lyrics and clear, straightforward instrumentation. Katie was joined by a three-piece backing band, including her twin sister Allison, of Philly rockers Swearin', who worked tirelessly to execute the rock arrangements of Waxahatchee's latest three releases, Ivy Tripp, Cerulean Salt and American Weekend, with a well paced setlist that placed the quicker tunes at the beginning while leaving the longer ones for the end. The best part of Waxahatchee's gradual ascent from the lo-fi production of her earlier work is that Katie's voice is now less obscured in the mix, but it's in a live setting that the true power of her pipes can be fully experienced; her clear, cutting voice overpowered any of the crowd chatter. Even though the drums were mixed a little high, occasionally drowning out the guitars, the vocals remained the focal point as Katie's voice, her heartbreaking lyrics and the impeccable harmonies between Katie and Allison beguiled the crowd. Though the vocals were a stunning through line, the instrumental performance was also dynamite, as the band shuffled through garage-influenced rock on "Coast to Coast" to the tempered, piercing ">." Though there is a resistance to label Waxahatchee as pop, there is a pop-like sensibility to the tunes, especially given the wordless, "ooh-ooh" vocal harmonies, but the guitars remained crunchy and twangy throughout. 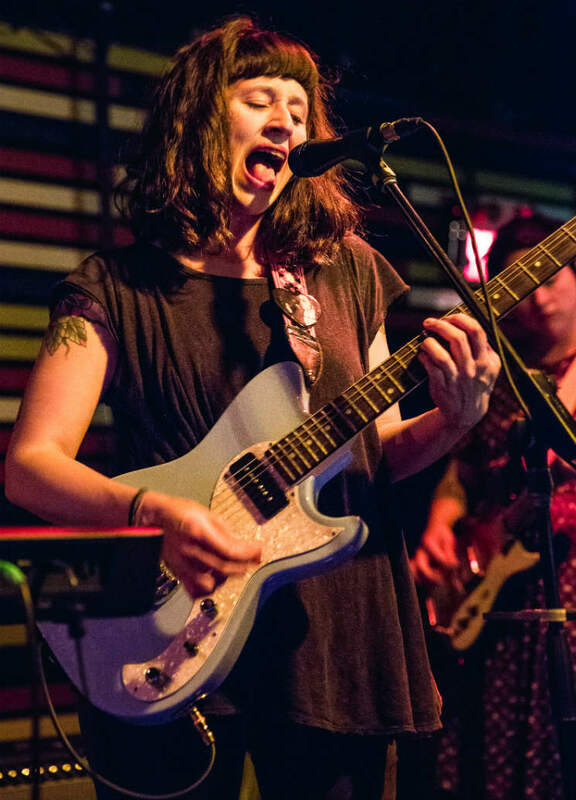 Ivy Tripp tunes such as "Poison" and lead single "Air" fully showcased both sides of Waxahatchee's hooky rock, the former a chord-driven head-bobber and the latter a swaying, sparser affair with walking guitar lines. Both drove home the catchy music that complements Katie's lyrics, though the latter's pulsing keyboard accents were buried in the mix. Waxahatchee's tunes are compact enough to remain engaging yet satisfying through short runtimes, but the appropriately slow-burning "Bonfire," which closed out the main set, also showcased Katie's compositional versatility, driven by a bass line as squealing guitars and weightless vocals orbited its weighty core for a satisfying finish. Never one to forget her roots, Katie came back alone for her three-song encore. Though her lyrics were captivating enough through the set proper, they really shone when only accompanied by her electric guitar. The first solo cut, "Grass Stain," really benefitted from the stripped-down live setup, and her declaration, "I don't care if I'm too young to be unhappy," lingered in the air long after she moved on to the next tune. In the night's final number, Katie declared that "You've got a husband now, I have Waxahatchee creek"; not to mention scores of fans who, if the post-show chatter is any indication, aren't going anywhere.